Cameron Branum is a National Academy of Sports Medicine Certified Personal Trainer; his philosophy focuses on increasing functionality and mobility in movements that mimic those of every day life. Cameron is an actively serving member of the Reserve component of the United States Marine Corps. 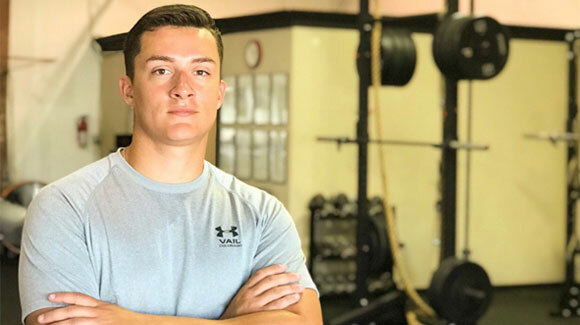 He believes the values that he has learned through the Marine Corps can be shared with his clients to achieve success inside and outside of the gym. With a background in sports, young athletes are one of Cameron’s focuses – he strives to instill discipline and humility while developing next level athletic performance.